CWN knows that initiating partnerships with retailers can be one of the most challenging aspects of beginning a healthy retail program. That’s why we created a new resource to make the process easier. 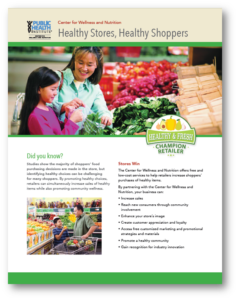 Our one page (front and back) document, Healthy Stores, Healthy Shoppers, conveys to retailers the business benefits of partnership and health promotion for their store. By focusing on the benefits to a retailer’s business, health advocates are more likely to gain buy-in from potential retail partners. To learn more about this resource and opportunities for co-branding, please contact Stephanie.Carillo@wellness.phi.org. 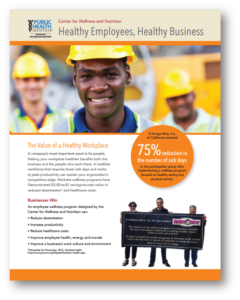 To promote the importance of worksite wellness programs, CWN created a worksite wellness promotional flyer highlighting the benefits of wellness programs for employers and employees including return on investments, and increased morale and productivity. The Worksite Wellness flyer targets businesses, specifically Human Resources staff, who often are the first point of contact when initiating a wellness program and can also act as a tool for health professionals that are responsible for recruiting businesses or implementing wellness programs. If you are interested in starting a worksite wellness program or if your current wellness program needs a boost, please contact Stephanie.Carillo@wellness.phi.org for more information. CWN is a national leader in developing campaigns, programs and partnerships to reduce obesity and promote equity in the most vulnerable communities across the country. 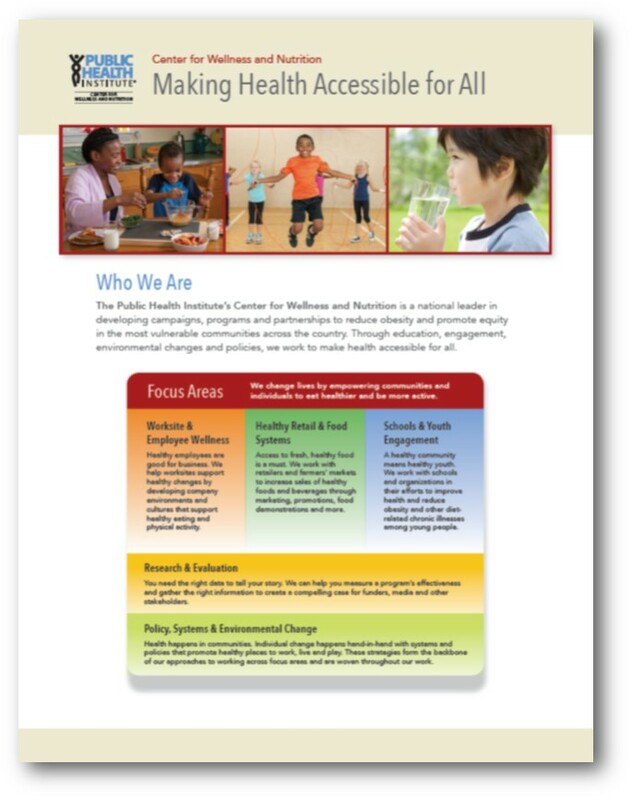 Through education, engagement, environmental changes and policies, we work to make health accessible for all! For more information, info@wellness.phi.org.